What if you could pick from the timeless themes of our ancient wisdom, and aver them anew - on the stage, through an act, a song or your dancing feet? What if you could meld your thought ripples with those of others to create a new wave? And yes, discover techniques of acting, singing, dancing, and performing along the way! Sounds too good to be true? Well, here we are, waiting for you. Inviting aspiring actors and performers to be part of the acting workshops conducted by Thespian Club. 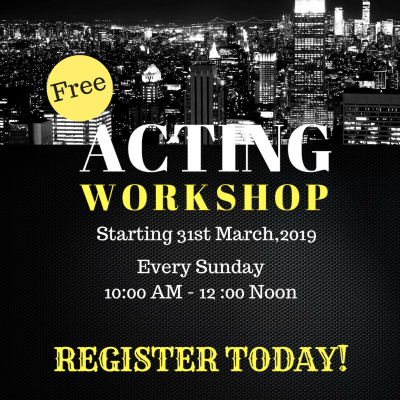 The workshops aim to equip actors with basic skills for realistic acting: exploring the performer’s instinctive impulses, pre-scene preparation, improvisation and more. Participants have the opportunity to be part of the clubs productions.